The admission price also includes monorail ride, admission to the Mississippi River Museum and a guided Mississippi River Walk Model tour. Mud Island River Park is no longer available. 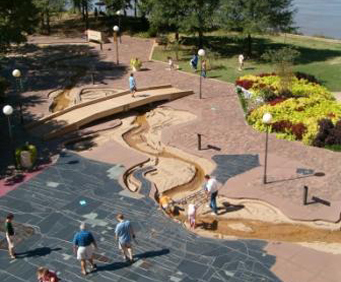 Visit Mud Island River Park as you learn more about life on the Mighty Mississippi by exploring the five-block river model, riding the Swiss monorail along the riverfront, and much more. 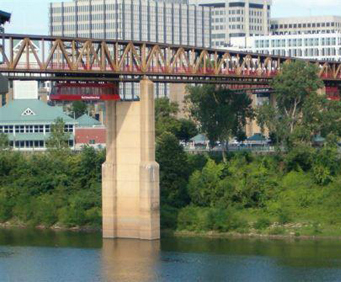 Sit back and relax as you enjoy the scenic views of the Mississippi River, downtown Memphis and Mud Island River Park on a Swiss-built monorail system. 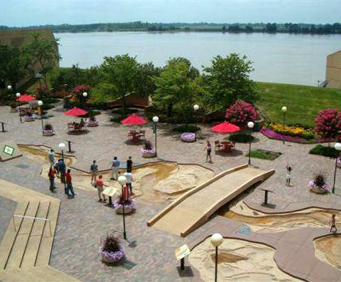 Then peruse the Mississippi River Museum and learn about the history and culture of the great Mississippi River.
" Fantastic park for children." Fantastic park for children. My granddaughter and i spent 5.5 hours there in early april. Walking the river was a highlight. She was studding the miss. River in school so it became a familiar historical river to her. Wish there were more variety of places to eat.Love the duck ride down the river. The river park is very interesting with the replica of the ms river that you can walk in, to the shops, the museum and view of the ms is very nice. This should be a day sight seeing area. We allowed for 2 hours, and we only see 1/4 of what it had to offer. Very beautiful place. Really enjoyed this one.. Lots of information at museum.